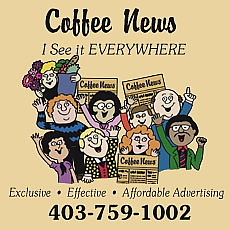 It will be a collaboration between New West and the University of Lethbridge. “It can have up to 19 cast members. We’re doing it as a university apprenticeship program so student actors can work with professional actors to learn what it is like to work in a professional theatre company,” she said. While it might seem like without the summer shows, New West Theatre is idle during the summer, it is definitely not the case. “We’re spending August working on Million Dollar Quartet and we had to redo a lot of the work we did on ‘Rockers Gone Country. 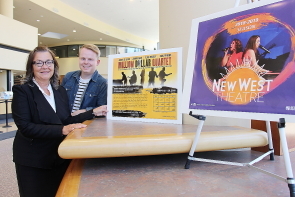 But we also have summer theatre camps,” said New West Theatre general manager Derek Stevenson. Several camps begin in July including a special Triple Threat Theatre camp, Aug 7-11 featuring some familiar faces including Claire Lint teaching dance, Kathy Zaborsky teaching vocals and Alex Long focusing on monologues and singing. “It’s for high school kids who want to get a little more experience than they get in high school,” Stevenson said. New West has also started a unique collaboration with Fort Whoop Up and the Galt Museum — storytelling nights on Thursday nights, June 28, July 5 and 26 and Aug 2, 9 and 23. “Andrew Legg will be telling stories around the campfire about the characters of Fort Whoop up. It’s really a family friendly night at 7:30 p.m.,” Stevenson said. “It is rain and shine. If it rains, they will be in one of the bunk houses. So it will be just like it was for the men of Fort Whoop up when it rained.” Peat said. “It doesn’t replace the summer show, but it will be a lot of fun,” she said, adding Kathy Zaborsky and DJ Gellatly, who is also directing Shakespeare in the Park’s summer production of the Tempest, will also be hosting. Peat looks at the Yates renovations as a challenge, but also an opportunity to expand New West’s possibilities. “We have actors who are really good at he musical/comedy reviews and others who are really good at plays and others who are really good at musicals, so we get to do all of them,” Peat said. “So while it has been challenging being without the Yates, it has opened the door to a lot of other opportunities and show our audiences the diverse types of theatre experiences we can offer,” she said.